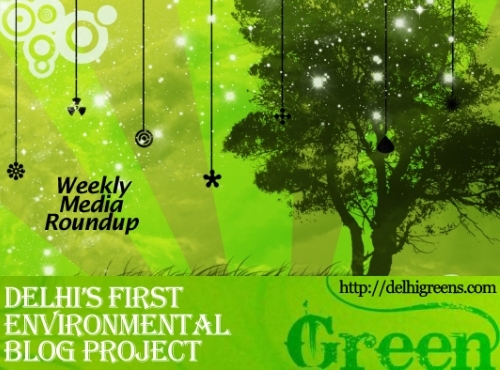 Weekly environmental news roundup from across different media networks for week 39 (starting September 24, 2012) 2012. The Delhi environment department has identified 25 government schools and 10 government hospitals that will get independent solar power systems. The Delhi Development Authority on Monday completed a significant milestone in its ongoing review of the Delhi Master Plan-2021. Even as Union urban development minister Kamal Nath continues to push for vertical growth in Delhi, urban planners and experts say the city’s most basic infrastructure — power, water and parking — is already stretched, and could collapse under the pressure of high-density housing. With nearly 1,200 vehicles being added to the city roads daily, parking problems in Delhi are compounding by the day. Colony roads, parking slots, basements and open parking areas in buildings and even open spaces now remain clogged with vehicles. The Delhi High Court on Monday said the row over the bus rapid transit corridor system erupted only because the Delhi government had chosen one of the “narrowest” and most “congested” stretches — the 5.8-km stretch between Ambedkar Nagar and Moolchand — for its pilot project. On August 15, chief minister Sheila Dikshit had made a declaration and launched a “rise of the sparrows” campaign. “We’re working on an action plan. Efforts are being made to sensitise people, especially children. The notification may be issued next week,” government sources said. The ministry of environment and forests will stick to its norms and criteria for evaluating projects and has rebuffed claims by the industry that delays in green clearances are obstructing projects, such as coal mining. Conservation of biodiversity will be soon made a criteria for environmental clearances to industrial and mining projects, Government today said. Faced with the Supreme Court’s two-month-old interim ban on tourism in core areas of tiger reserves, the Union government’s expert body on tiger conservation told the apex court that public participation was critical to tiger conservation and that regulated tourism should be permitted in core/critical tiger habitats.